Here's what you need to know now for Friday, Oct. 6. We saw another successful IPO on Friday as Las Vegas-based Switch Inc. (SWHC , which helps enterprises manage data by renting out its cloud service infrastructures on a contractual basis, hit the markets and spiked in its first day of trading. But not everyone is thrilled by the idea. The offering is the latest example of companies issuing shares in the public markets in a way that gives insiders, in this case the tech company's CEO, control of the company, insulating it from activist pressure or unfriendly M&A bids for years to come. The IPO isn't as management-entrenching as that of Snap Inc. (SNAP - Get Report) which arlier this year shocked the investor community by taking a step that was unprecedented in modern times -issuing only non-voting shares in its IPO. Unfortunately for Switch, the company will not be eligible for inclusion in the S&P Dow Jones Indices LLC, such as the S&P 500. Meanwhile, on a day when the major indexes closed in the red for the first time in about a week but remain around all-time highs, we look at the laggards of the Dow. Some like General Electric Co. (GE - Get Report) have been well documented while others such as Verizon Communications Inc. (VA , have slid relatively under the radar. When there is a dip in the shares of companies such as GE and Verizon that normally would be an opportunity for investors to pounce, but look before you leap into these, as not all stocks will be part of any continued rally. TheStreet spoke with Qualcomm Corp. (QCOM - Get Report) CEO Steven Mollenkopf this week to talk about the status of the NXP Semiconductors NV (NXPI - Get Report) deal, among other things. Qualcomm's purchase, which was first announced last October, has received significant pressure from activists, regulators and investors of late. Specifically, investors want Qualcomm to improve its offer of $110-per-share for NXP, which continues to trade above $114 per share. Mollenkopf is confident nonetheless. The entertainment industry has changed a lot over the past decade with the advent of Netflix and the over-the-top programming revolution. And as Netflix Inc. (NFLX - Get Report) raises its prices yet again, and the stock ticks up even higher, we also celebrate the advent of the talking motion picture. 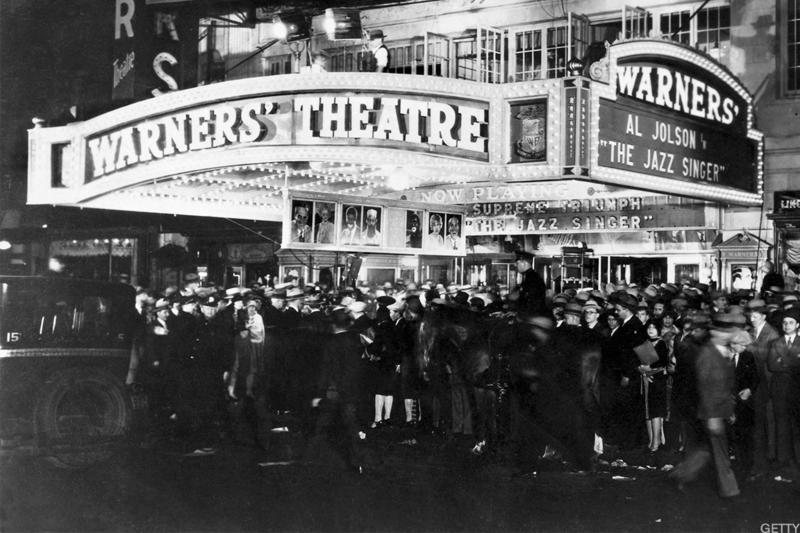 On Oct. 6, 1927, "The Jazz Singer" starring Al Jolson premiered at the Warner Theatre in New York City. While critics argue over the film's popularity (and content -- the main character was in blackface for a portion of the film) the film marked the birth of the talking film, at the time called "talkies."